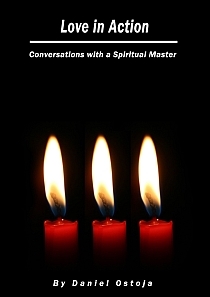 Saieditor is writing and reflection on spirituality, human values in literature and in human aspiring, and the path to the divine, the goal of life. Saieditor lives in Shepparton, Australia … In this post we share the offerings of this website and the works of Saieditor. 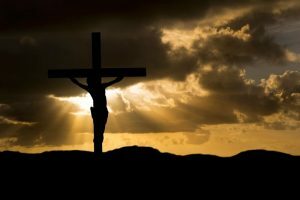 The Full Moon for April 2019 is also Good Friday. 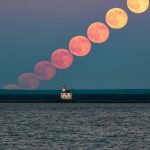 We look to the various nakshatras with this Full Moon, and attend to human energy in all its manifestations – for full moon times are times of maximum energy in the mind. In Vedanta, the Moon is the presiding deity of the mind. 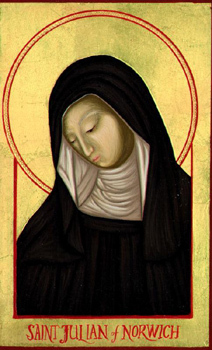 Hildegard of Bingen was a preacher at a time when canon law forbade women to preach, a named composer when most music was anonymous, a visionary, a theologian, a writer, an artist, a hagiographer, a prolific letter-writer and an early scientist, botanist, herbalist, physician and healer – she even invented her own coded language. This German Benedictine anchorite who lived in the twelfth century was in the fullest sense a polymath. Yet she was an enclosed nun, until mid-life her only contact with the outside world being through a single window. 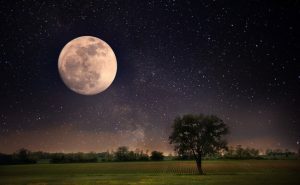 At this time, there is a special equinox as it will also occur around the Full Moon which will culminate less than four hours after the equinox. There are many sacred festivals – Hinduism has Holi, the Sikhs celebrate Hola Mohalla, the Baha’i’s celebrate their new year – Naw Ruz, and the Jewish faith observes Purim. In the secular arena, March 21st is International Day for the Elimination of Racial Discrimination. It is also a time of inner challenge, and that challenge points – highlighted by 5 weak planets, urge us all toward managing the mind and our thoughts. 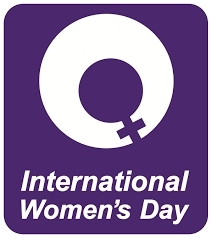 International Women’s Day (IWD) is celebrated around the world on the 8th of March and is time to reflect on progress made, to call for change and to celebrate acts of courage and determination by ordinary women who have played an extraordinary role in the history of their countries and communities. UN Women’s global theme for IWD 2019 is ‘ Think equal, build smart, innovate for change’, linking with the UN Commission on the Status of Women’s focus on social protection, public services and sustainable infrastructure. Julian was an Anchoress. It is fairly certain that she was not a nun. An anchoress was a person called to a solitary life, but one that was not cut-off from the world, but one anchored in it. Her life was one of prayer and contemplation, a life highly thought of by people of the time. Her 14th Century blockbuster The Revelations Of Divine Love made her the first woman to write a book in the English language (that we know of). The theme of the Holocaust remembrance and education activities this year is “Holocaust Remembrance: Demand and Defend Your Human Rights”. 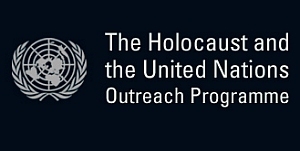 This theme encourages youth to learn from the lessons of the Holocaust, act against discrimination and defend democratic values in their communities, at a time when the spread of Neo-Nazism and hate groups fuels the rising antisemitism and other forms of hatred around the world. The theme highlights the 70th anniversary of the Universal Declaration of Human Rights and the Convention on the Prevention and Punishment of the Crime of Genocide. 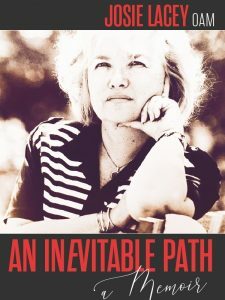 In her autobiography, Josie Lacey tells of a remarkable life and the influence her ancestors had upon her. Some of her family were trapped in the Holocaust; others, like Josie, migrated to Australia. Here, Josie tells of her almost breathless life, with no time to lose. The first lunar eclipse of the year occurs at the Moon’s ascending node in Cancer. This eclipse, visible in North and South America, the western most parts of Europe and Africa will occur on the evening of 20-21 January 2019. 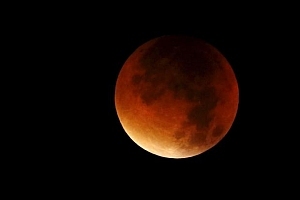 It will be a full lunar eclipse, which some are calling a Blood Wolf Moon. The southern half of the Moon will appear much darker than the northern half. The modern life has its pressures and demands. One must use the wifi – the wireless networks in order to be connected, to work, to find work, to chat with friends, to pay bills, to share photos and friendships. What of seeking for the Divine in this day and age? How do we feed our souls when modern line makes so many demands upon us? How do we even come to know about the Divine when the mind flits from one thing to another and we cannot keep it still? 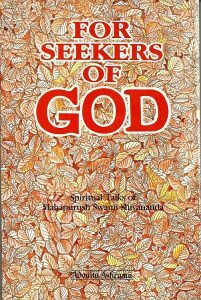 Here is one book, the teachings of Swami Shivananda of the Belur Monastery in Western India – he is the leader of the Ramakrishna Order and is giving guidance daily to those who seek it. Prokhor Isidorovitch Moshnin, who later took the name Seraphim, was born in central Russia into a trading family. 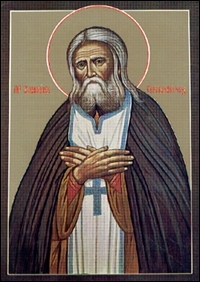 In his youth his father died and at the age of 15, Seraphim went to the famous monastery of Caves at Kiev, later entering the Sarov monastery in the Oka region as a novice. He was ordained a monk in 1786 and a priest in 1793. The following year he built himself a little hermitage in the forest where he spent ten years in the most austere conditions, feeding wild animals by hand. He was left crippled after a savage attack by robbers. 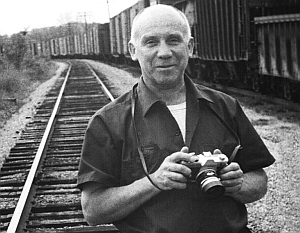 Thomas Merton OCSO was an American Trappist monk, writer, theologian, mystic, poet, social activist, and scholar of comparative religion. On May 26, 1949, he was ordained to the priesthood and given the name Father Louis. His autobiography, The Seven Storey Mountain has inspired millions to seek the interior life. Pope John Paul II was head of the Catholic Church and sovereign of the Vatican City State from 1978 to 2005. 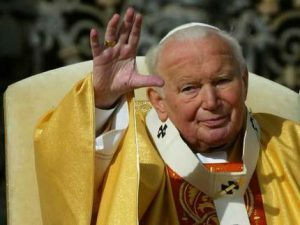 He was elected pope by the second Papal conclave of 1978, which was called after Pope John Paul I, who had been elected in August to succeed Pope Paul VI, died after 33 days. He was proclaimed Saint on 27 April 2014 by Pope Francis, with Pope Emeritus Benedict XVI in attendance. The December Full Moon comes close to celebration of Christmas and is even closer to the Summer Solstice event in the Southern Hemisphere. 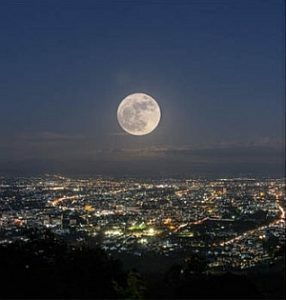 It is very rare for a full moon to occur on the same day as the Solstice. Nonetheless, the Solstice Full Moon reflects the Divine Will for all on Earth.